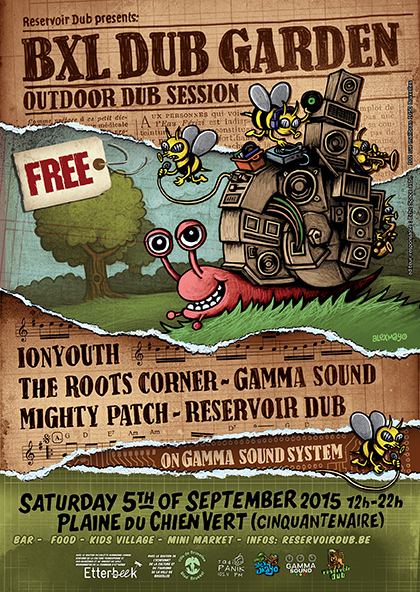 Don’t miss our next event that we organize : a free and outdoor soundsystem session! 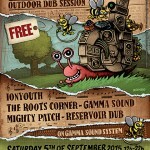 As every summer, Reservoir Dub is happy to celebrate his new birthday (7 years) with Reggae-Dub Vibes! Come with your your friends & kids, grandpparents & familly cause there will be some special activities for adults and kids ! See you on the 5th of september from 1 pm to 10 pm! Come Early, early vibes will be Tuff !